South Africa ODI skipper AB de Villiers has quashed suggestions that he is closing in on retiring from the longest format of the game, thus leaving the door open for national selectors to pick him for the Test series against Australia early next year. Last August, de Villiers took time off to get a number of injuries treated and then suffered an elbow injury that ruled him out of the Test series against Australia. While he returned to limited-overs cricket for the Proteas in February, he opted out of the Test series in New Zealand in March - an absence he has since extended to the four-Test tour of England in July-August and the succeeding two Tests against Bangladesh. However, de Villiers, who is preparing to lead the Proteas in Champions Trophy, has insisted that his career in the whites is not over yet. But, he added that there is no chance he would change his mind and make himself available for the Tests in England. 'I haven't retired, no. But I'm not going to change my decision. I'll look indecisive,' cricket.com.au quoted de Villiers as saying. The 33-year-old also said that his decision to focus entirely on the shorter formats of the game for this year is absolutely right. 'I made some important decisions for my life and career in the last year or so in order for me to have the best chance of winning trophies and being part of a successful team,' de Villiers said in Hove on Thursday ahead of South Africa's tour opener against Sussex on Friday. 'Physically I realised I'm the best I can be when I'm fresh and looking forward to cricket instead of the other way round and being tired when I'm playing,' he added. Australia are slated to tour South Africa for four Tests in February and March, 2018, while the Proteas will also host India during their home 2017-18 summer. 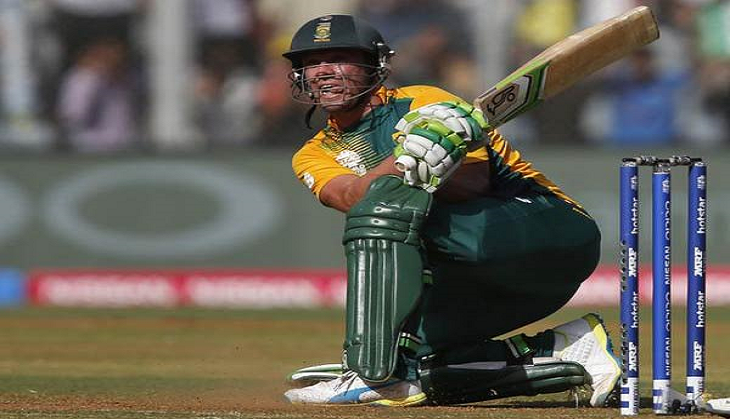 Meanwhile, de Villiers is preparing to lead South Africa in a three-match ODI series against England that will serve as a warm-up ahead of Champions Trophy, beginning June 1 in England and Wales.